Cloud technology has now been around for long enough that most companies have adopted it in some form. Whether it’s public, private, or hybrid, the cloud is now widely used and it’s matured into being far more than just a storage medium. The global cloud market is expected to exceed $1 trillion by 2024  so it isn’t something that you can afford to ignore when planning future IT needs. However, it isn’t necessarily the only game in town. When considering any new project, businesses need to consider all of the options in order to allocate resources in the most effective manner. This needs to factor in infrastructure needs, but also cost, security and more. It’s essential to take account of the storage and computing capacity present in existing systems too. While it’s undeniably easy to scale in the cloud, it’s acknowledged that most in-house systems are not running at full capacity and can be more effectively exploited. Indeed, if cost saving is a prime motivator, it may even prove cheaper to bring back systems from the cloud and make more optimal use of in-house resources. While a cloud-first approach may be attractive, most companies are likely to end up with a mixed approach that offers them appropriate controls while still being flexible and cost-effective. In the rush to embrace new technology companies often fall into a predictable series of traps. But if you know what to look for these are easily circumvented. The first thing to avoid is rushing to adopt a cloud-first strategy simply because everyone else is doing so and all of the experts are advising it. Secondly, you shouldn’t automatically assume that moving to the cloud is going to allow you to make savings. You need to look at the bigger picture and consider alternatives but also look at how your business is expanding. You don’t want to trap yourself in a scenario that will force you to upgrade or switch systems to cope with extra demand. You also need to understand that by moving to the cloud, you risk getting locked into a particular supplier. How long is the contract? What levels of support are available from the service provider and how much expertise do you have in-house in the event of problems? A crucial consideration is the security and stewardship of data. This is not something that you can simply delegate to a cloud provider. You are still responsible for looking after your data and for complying with privacy regulations such as GDPR. 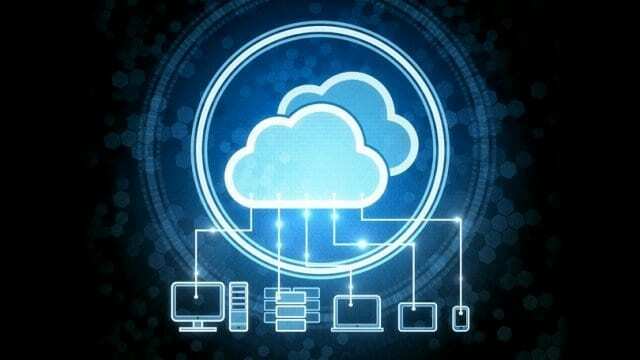 The rush towards the cloud has also seen a shift in the skills which businesses require from their IT staff. Whereas just a few years ago, the emphasis was on data centre staff who understood infrastructure and could configure systems, it’s now much more about deploying cloud services. This has led to an inevitable skills gap. There is a risk here of businesses becoming heavily reliant on their cloud providers or being forced to employ contractors or consultants to secure the skills they need. Clearly, there are risks here in terms of continuity and cost, so it’s yet another factor to consider in deciding on what route to take. Ideally, a well-designed platform should allow for a high degree of ‘self-service’, enabling less skilled staff or even non-IT staff to manage workloads themselves. However, this needs to be backed by access to technical expertise when it’s needed. There is perhaps more than ever a need to take a long-term view and to ensure an understanding of the bigger picture at board level.